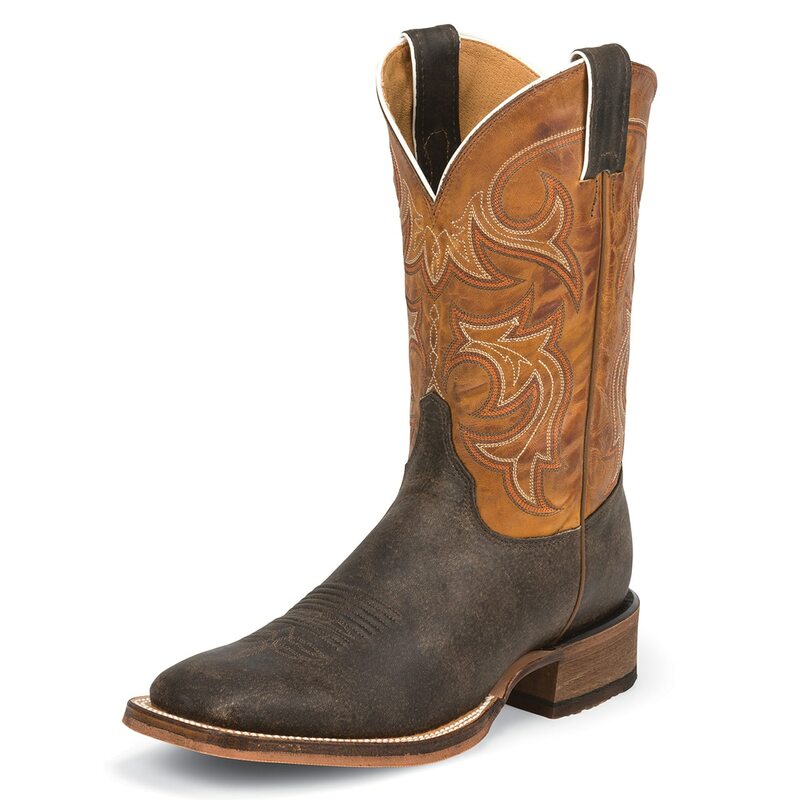 ?Bust any bronc in the Caddo Dark Brown Bent Rail® 11-inch tall Men's cowboy boot. Featuring a golden tan distressed leather upper accented by an inventive stitch pattern and a dark chocolate crazy volance foot, this boot is ready to ride. Its wide square toe and long base block heel provide a relaxed fit and the J-Flex Comfort System® insole with the internal flexible midsole guarantees maximum comfort and pliability. The translucent rubber outsole provides traction and can easily move in and out of the stirrup. This style is proudly Handcrafted in the USA with imported materials.